Our cardiovascular program is now available in a convenient, centrally located community setting at the UT Southwestern Medical Center at Park Cities. 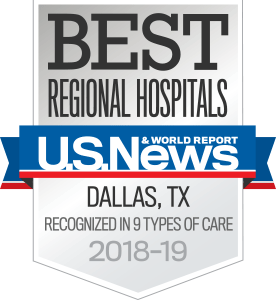 UT Southwestern is widely recognized as one of the nation’s leading heart disease treatment centers. Our cardiologists and surgeons are highly trained and are experienced in diagnosing and treating both common and uncommon heart conditions. Our preventive cardiology services, aimed at lowering people’s risk for cardiovascular disease and its complications, are a unique resource in the region. The Park Cities Cardiology team provides personalized care for each patient’s specific condition, while taking full advantage of the clinical expertise and advanced resources needed to improve, cure, and prevent all forms of cardiovascular disease. The Cardiology Clinic at Park Cities offers appointments for the evaluation and treatment of patients with suspected heart disease.